We have argued that fiscal and monetary policy produce shifts in the economy's aggregate demand and supply. 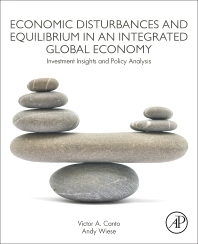 Depending on the nature of the shocks, as the economy returns to a new equilibrium, a new and temporary economic environment will be created. To the trained eye, inflation rates and GDP growth rates will change in predictable patterns, and so will asset returns. It is the latter that gives rise to cyclical asset allocation or what we call value timing strategies described in this website. We take the view that the deviation of returns from long-run equilibriums reflects the economy's adjustment to different shocks and policy changes. Thus, if this approach is to bear any fruit, we must now develop a simple decision process that incorporates the effects of policy and other economic shocks on the short-, intermediate-, and long-run rates of return in the economy. We need to come up with our view of the world. From there we will be able to map the path of expected asset returns from which a simple cyclical and/or tactical asset allocation may be developed. Correctly identifying the economic environment is in fact the first step in deriving economic-based value timing strategies. Next, through a formal modeling of historical relationships, a more rigorous approach can be developed. From there we can generate formal decision rules that can guide the ValueTiming process. The ValueTiming strategy is based on the assumption that politicians and policymakers have particular views of the world, and that they will in general adopt policy measures that are consistent with these views. This is important, for it is the continuity of these responses that may give rise to predictable cycles or deviations from long-term trends. Once these new (and historically true) trends are identified, it is just a matter of tilting portfolios to take advantage of the patterns of returns anticipated by the likely policy responses. Since most economists and investment advisors generate forecasts regarding the future path of the inflation rate and the economy, it follows that one can translate these forecasts into forward-looking strategic asset-allocation recommendations. Therefore in this website we have developed an asset allocation tool that is general and robust enough to accommodate the insights developed using different valuation models. Since we are able to separate the LJE economic analysis from the asset allocation tool, we are able to offer each service as a stand alone product or if the client so chooses, joint subscription to both is also available.